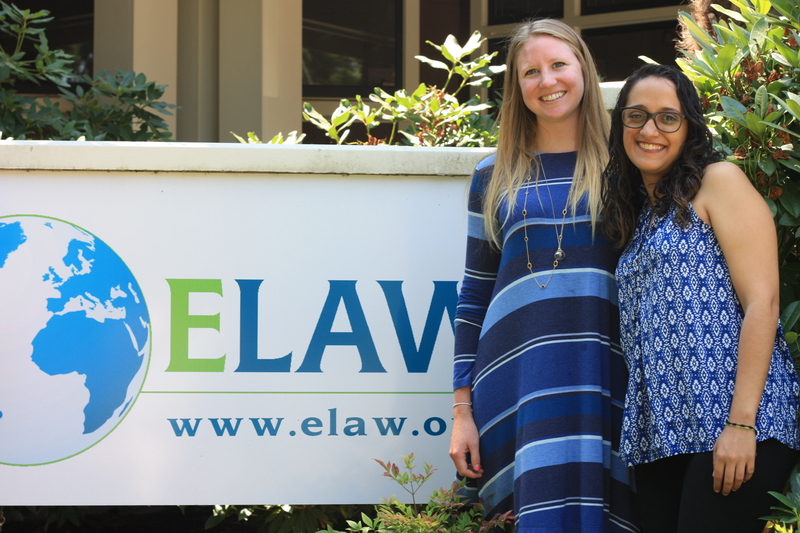 ELAW hosts a summer legal intern program in our Eugene, Oregon office for students studying for a J.D. or equivalent degree. Legal interns assist the Staff Attorneys in responding to requests for assistance from overseas advocates. Projects may include obtaining information about multinational companies; identifying model statutes and regulations; researching U.S. and foreign case precedents; or evaluating legal doctrines and theories. Interns prepare memoranda and communicate directly with these lawyers. Interns also have the opportunity to meet with and assist advocates participating in ELAW’s Fellowship program. The Staff Attorneys work directly with the interns and oversee all projects. Applications should be submitted by February 25th. ELAW interviews selected candidates on a rolling basis, starting in late January. Successful applicants generally possess excellent research and writing skills and a strong dedication to public interest environmental law. Proficiency in a language or languages other than English is preferred, but not required. ELAW actively seeks applicants with diverse backgrounds. At ELAW's discretion, we will work with summer internship applicants who wish to provide alternative proof of English language proficiency. This may include a telephone conversation with a member of ELAW staff to evaluate an individual's level of fluency. Due to limited resources, we are unable to provide funding for interns. We encourage interested applicants to look for alternate sources of funding, including their law school. Previous legal interns have obtained academic credit through educational institutions for their work at ELAW.